(Top row, left to right): Jorge Álvarez, Carlos Arce; (second row, left to right): Violet Benny, Abner Caraballo, Marlon Castro; (third row, left to right): Zulema Clares, Martha Cristiana; (fourth row, left to right): Elle de Amor, Caridad del Valle; (fifth row, left to right): Elaine Del Valle, Ángel Dillemuth; (sixth row, left to right): Marcelino Feliciano, Stefano Fossa; (seventh row, left to right): María Hernández, Yelitza Hurley; (eighth row, left to right): Alvin Hysong, Irma-Estel LaGuerre; (ninth row, left to right): Taína-Fe Landrón, Marianne Lu; (tenth row, left to right): Abraham Makany, Flora Mendoza; (eleventh row, left to right): Omar Pérez, Susana Pérez; (twelfth row, left to right): Melodia Picón, Johary Ramos; (thirteenth row, left to right): Julie Reyes, Vanessa Verduga; (bottom row, left to right): José Ignacio Vivero, Marcel Weisz. Meet the executives and icons shaping the massive, and growing, Hispanic media market in this article by John Consoli from AdWeek by clicking here. Barb ara Bonilla, shown at left, booked a voiceover job for Con Edison when the casting director called her in after seeing her member profile on the HOLA online directory. 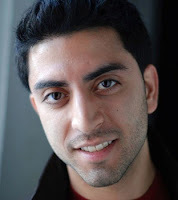 Ziad Tayeh just wrapped up shooting on the short film If Only, directed by Venky Jayaram. Zulema Clares e-mailed us to tell us that the film Interactivo, la película (directed by Tané Martínez and written by Clares and Martínez), a documentary about the Cuban band Interactivo, and the launch of their new album, Cubans Around The World, will have a screening at the Cinema Maldà in Barcelona, Spain. The film will then premiere in Miami, Florida on July 15, 2011. For more information about the project, click here. Luis Salgado e-mailed us to let us know that he is working on a new project, entitled Candela, Fuerza y Pasión. The musical, which he will direct and choreograph, will include Afro-Peruvian folkloric dance and premiere at the Zum theater in the University of Lima in Lima, Peru. E3Outlaws Productions is presenting Dr. Abniel Marat's Tabú. 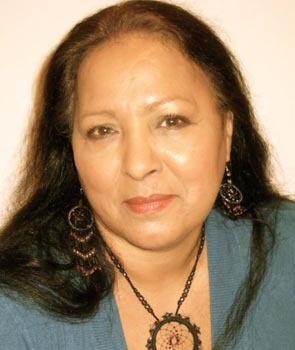 Directed by Enmanuel García, the play is being presented in July as part of the V Festival De Teatro Internacional de La Casa De La Cultura De Navarrete at the Sala Don Ivan García Guerra in Manhattan's Washington Heights neighborhood and features Piedad Castaño, Frank Francisco, Agar García, Ramón Hierro, Eduardo Leáñez, Fior Marte, Lissette Montolío, Alejandro Moscoso, Gloria Ospina, Diana Pou, Herna Rodríguez and Héctor Luis Rivera in the cast. 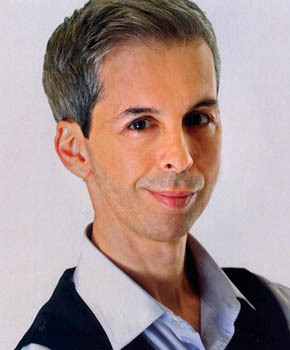 Éric-Dominique Pérez will be presenting an abbreviated "remixed" version of his self-penned solo show El Gringuito (directed by A.B. Lugo) at Clinton House in the Hell's Kitchen neighborhood of Manhattan in June as part of the 2011 Hell's Kitchen Arts Festival. 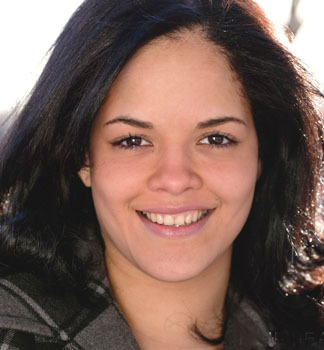 Yanelba Ferreira e-mailed us to tell us that she booked a role in the film Ten Buck Baton, directed by Mike Bochu. Teatro IATI is presenting its annual Performing Arts Marathon (PAM) festival. Now in its fourth year, the theater presents a variety of cutting-edge performances. The festival will take place in July and August at IATI's namesake theater in Manhattan's East Village neighborhood and at the Baruch Performing Arts Center in the Gramercy area of Manhattan. For more information on which show is playing in which space, as well as a full schedule of the festival, click here. Some of the productions are listed below. • La cena. Written by Giuseppe Manfredi and directed and designed by Raúl Durán. Featuring Ana Grosse, Gerardo Gudiño, Alfredo Huereca and Fermín Suárez. • Look Who's in tha Army Now! Written by Lorenzo Parro. Directed by Mike Rosales and Lorenzo Parro. Featuring Sonia De Los Santos, Paola Poucel, Indra Palomo, Pamela Arteaga Mata, Jorge Castilla and Lorenzo Parro. • Más que un foreclosure. 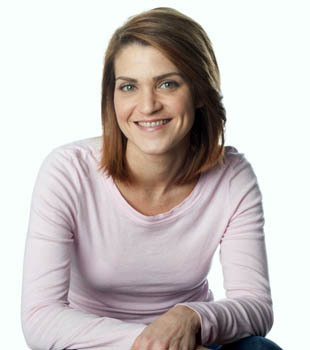 Written by Tere Martínez. Directed by Arian Blanco. Featuring Kisha Tikina Burgos and Daisy Taveras. Check out the latest information in Backstage regarding the talks that the Screen Actors Guild (SAG) and the American Federation of Television and Radio Artists (AFTRA) regarding the merger of the two performer unions by clicking here. 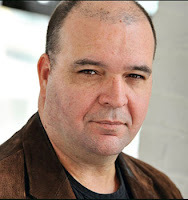 Gilbert Cruz recently appeared in a performance of Clemente (written by Cándido Tirado and directed by Lou Moreno) for 7th Inning Stretch, a benefit for Mile Square Theater, located in Hoboken, New Jersey. He will also be appearing in Molière's The Miser for the Piper Theater, an outdoor venue at the Old Stone House Park in the Park Slope neighborhood of Brooklyn. The production runs the first three Thursdays and Fridays of July. Elizabeth Rivera de García will be performing her spoken word poetry as part of The Family Cabaret Night. 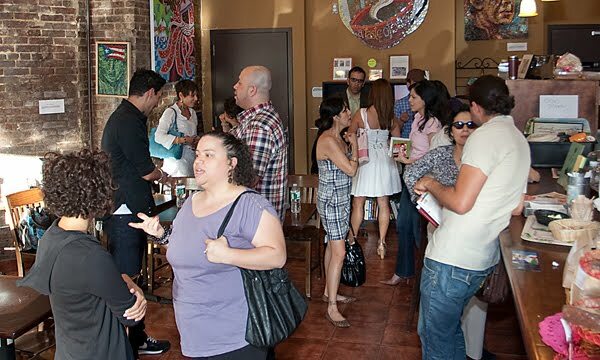 Produced by The Family/La Familia Theater Company, the event will take place on June 29, 2011 at Karma Bar and Lounge located in Manhattan's East Village. 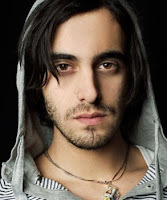 Mauricio Alexander, also known by his nom de musique Infinite I Am, released a new single. Called "Want You Madly," it is already receiving airplay on several internet radio stations. To listen to it, or to buy the single, click on the link below or go here. 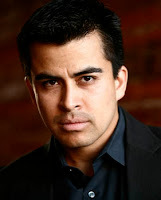 Ricardo Alvarad o e-mailed us to let us know that he booked a role in the Brett Sorem film Pablo on Wheels. He got the audition after the casting director found his profile in the HOLA online directory of talent. Produced by Nocturnal Features, the film starts shooting this week. 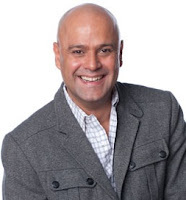 Says Alvarado, "Gracias again for your love and support, but above all, for providing us with such a great service like HOLA and believing in me and my fellow actors. I know that at times it may seem that your efforts go unnoticed, but not for a moment, I assure you. Thank you, thank you, thank you, thank you! Can't thank you enough." Diana Pou and José A. Siri are performing in Concierto de Trovas y Boleros. The concert is produced by Enmanuel García of E3Outlaws Productions features classic and current songs and will take place on Saturday, June 25, 2011 at the Sala Don Iván García Guerra in the Washington Heights neighborhood of Manhattan. Ileana Canal e-mailed us to let us know that she shot a short film called Mo(u)rning (written by Adrián Rodríguez and directed by Arian Blanco). The film also starred Loren Escandón and Iván Goris. Carlos Arce most recently acted in the play Something Outrageous. Written and directed by Michael Horn, the play had a May run at the Producers' Club located in the theater district of midtown Manhattan. Zulema Clares can currently be seen in En el tiempo de las mariposas. Based on the novel by Julia Álvarez, the play was adapted by Caridad Svich and directed by José Zayas. 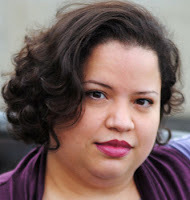 The production also features Rosie Berrido and Dalia Davi in the cast and takes place at Repertorio's eponymous theater in Manhattan's Rose Hill neighborhood. Repertorio Español will also present Félix Lope de Vega's classic play La discreta enamorada. 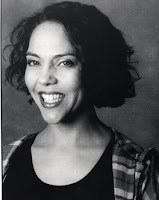 Part of The Van Lier Directing Fellowship, the production is helmed by Gamaliel Valle Rosa, scheduled for a July run and features Ignacio García-Bustelo, Geraldo Gudiño, Inma Heredia, Julio Ortega, Soraya Padrao, Mauricio R. Pita and Malena Ramírez in the cast. Luis Salgado is directing Pushing Daisy. Written by Lauren Epsenhart, the production is part of The Planet Connections Theatre Festivity, and is scheduled for a June run at the Gene Frankel Theatre in Manhattan's NoHo neighborhood. The cast includes Elysia Segal, Doreen Montalvo, Ron Bopst, Chris Glehm and Olga Merediz. Theater for the New City (TNC) is presenting Slums of Neverland. Written and directed by Deeon Brown, the play stars J.A. Acevedo and Zahaira Curiel and will take place at TNC's eponymous theater in Manhattan's East Village. Jean-Marc Berne was recently cast as the Grand Prix Commentator in the Spanish-language dubbed version of Pixar's film Cars 2 (directed by John Lasseter and Brad Lewis). Teatro IATI is presenting their director's lab showcase. Facilitated by Martín Balmaceda, the evening will take place at IATI's namesake theater in Manhattan's East Village and present excerpts of plays by Ángel H. Romero, José I. Cabrujas, Griselda Gambaro and Alejandra Pizarnik. 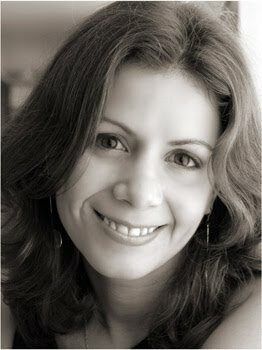 The directors are Cruz Chino, Andrés Correa G., Ethel Fisher and Leni Méndez and the actors include Julio Ortega, Antonio Rodríguez, Míriam Cruz, Wínston Estévez, Lissette Espaillat, Sofiane Madi and Laura Vagnoni. 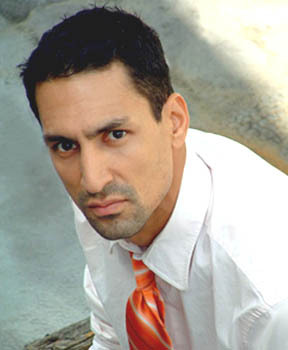 Dennis Brito will be acting in C.J. Ehrlich's play All's Fair in Love and Science. Directed by Margaret Stockton and also starring Michael Bordwel, the play is part of Manhattan Theatre Source's TestoGenius: The Festival of Fatherhood and will take place at Manhattan Theatre Source in Manhattan's West Village. Check out this article by Liz Goodwin from Yahoo! News' blog The Lookout regarding the controversial measure enacted by Arizona Education Superintendent John Huppenthal by clicking here. 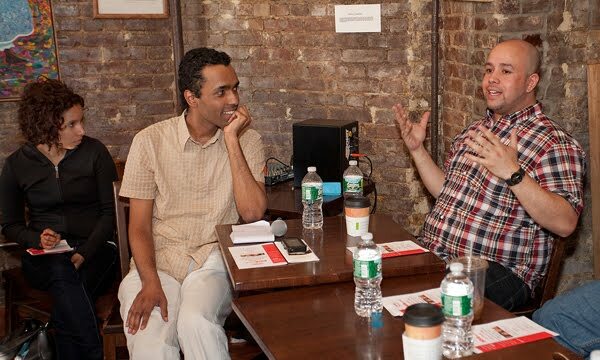 New York, NY – June 6, 2011 - The Hispanic Organization of Latin Actors (HOLA) is proud to present “KICKSTART: How To Take Your Career To The Next Level,” a two-day series of career workshops and panels geared to the Latino actor. KICKSTART takes place on Saturday and Sunday, June 25th and 26th, 2011 from 10am-5pm, both days. It will be held at the new Teatro SEA, located at 107 Suffolk Street (between Rivington and Delancey streets) in the Lower East Side of Manhattan. The cost of KICKSTART is $199 for HOLA members/Friends of HOLA and $249 for non-HOLA members (members of performer unions SAG, AFTRA and AEA pay $209). Interested parties who wish to reserve their spot, or those seeking additional information, should call (212) 253-1015 or go to www.HelloHOLA.org. Major credit cards accepted. This is the inaugural presentation of KICKSTART and is indicative of the roster of new and relevant programming being offered by HOLA for its members. “At a time when current census figures show that there are 50 million Latinos in the United States, our HOLA members are poised to fill the roles that accurately reflect and portray the great diversity, complexity and breadth of accomplishments made by the Latino community in the U.S. 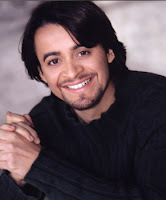 This workshop will impart invaluable insights and information that will help HOLA members and non-HOLA members alike successfully navigate their career trajectories while offering a vital understanding of the challenges and benefits unique to the Latino actor,” stated Manny Alfaro, Executive Director of HOLA. 3:30pm • Meeting The Agents You Should Know. Workshop leaders and panel participants include leading casting executives from ABC, CBS and NBCUniversal; Adam Moore, Associate National Director, Affirmative Action/Diversity, Screen Actors Guild; Connie Best, Interactive Media Representative, American Federation of Television of Radio Artists (AFTRA); John Fasulo, National Director of Membership, Actors’ Equity Association; (AEA) actor/photographer Anthony Ruiz; actor/singer and IT expert Francisco Fuertes; Broadway performer Julio Agustín; and leading producers from the NYC Latino theater scene, as well as leading agents from national talent agencies. Moderators for the panels include Mario Bósquez, journalist and on-air host of “Living Today” on Martha Stewart Living Radio on Sirius 112 and XM 157; and Dr. Manuel A. Morán, performer, director, writer and producer and the founder and CEO/Executive Director of SEA (Society of the Educational Arts, Inc.). HOLA is proud to present “KICKSTART: How To Take Your Career To The Next Level,” a two-day series of career workshops and panels geared to the Latino actor. KICKSTART takes place on Saturday and Sunday, June 25th and 26th, 2011 from 10am-5pm, both days. It will be held at the new Teatro SEA, located at 107 Suffolk Street (between Rivington and Delancey streets) in the Lower East Side of Manhattan. The cost of KICKSTART is $199 for HOLA members and $249 for non-HOLA members (members of performer unions SAG, AFTRA and AEA pay $209). To reserve your spot, or to seek additional information, please call (212) 253-1015 or go to www.HelloHOLA.org. Major credit cards accepted. 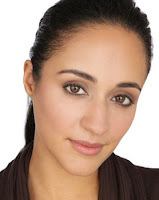 HOLA, founded in 1975 by a group of Hispanic actors concerned with the images of Latinos in the media, is a national member-based non-profit organization headquartered in New York. HOLA is the nation’s longest running arts service and advocacy organization dedicated to expanding the presence of Hispanic artists in entertainment and media through the cultivation, education and recognition of HOLA strives for an accurate, informed and non-stereotyped portrayal of the full spectrum of Latino culture and heritage in all entertainment and media industries. HOLA’s signature roster of programming and services includes the HOLA Pages, an online directory of Latino actors; HOLAfábrica, a professional training unit of workshops and seminars; HOLAgram, an in-house casting referral service; as well as HOLAtalks, HOLA After The Curtain and HOLApanels, a series of special events and post-performance discussions. HOLA’s communication platforms include its website, http://www.helloHOLA.org; its Facebook fan page, http://www.facebook.com/HOLAonFB; its Twitter account, http://www.Twitter.com/HOLAOfficial; and its blog, EL BLOG DE HOLA, http://elblogdehola.blogspot.com. Gloribell Mercado, shown at left, booked a role in Albert Franco's film Cold Summer after the director spotted her headshot on the HOLA online directory. The film starts shooting later this month. 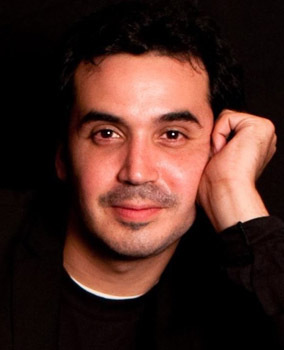 José Roldán, Jr. will present his self-penned solo show Father, Forgive Me For I Have Sinned. Directed by Dante Albertie, the show is scheduled for a July run at The Studio Theater at Lehman College, located in the Bedford Park area of the Bronx. Eduardo Leáñez will present his self-penned solo show ¡Tú estás confundido! Scheduled for a July run, the show will take place at the Sala Don Iván García Guerra in the Washington Heights neighborhood of Manhattan. Joe Rodríguez and Jayson Simba are scheduled to appear in Imperfect in Happiness. A collection of edgy, fast-paced, comedic scenes, solo pieces, music and sketch comedy works written by Bobby Holder, Brett Epstein, Jay Boyer, Tina Xenos, Craig Dourmashkin and Muhammad Bilal (and directed by Holder), the production will take place in June at The Abingdon Main Stage Theater, located in the theater district of midtown Manhattan. Antonio García, Jr. can be seen in a webisode of the web series "Dates & Nuts" from Behind the Fridge Productions. The webisode is below. Check out the top 10 states of the U.S.A. with the largest Latino populations according to the U.S. Census by clicking here (courtesy of Daily Taco). 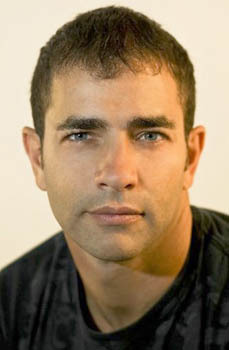 Ziad Tayeh has just filmed a role in the new film The Dictator. Directed by Larry Charles, the film stars Sacha Baron Cohen (who also co-wrote the screenplay), Anna Faris and Ben Kingsley. Repertorio Español is presenting the classic Calderón de la Barca play La dama duende. Presented as part of the Van Lier program for young directors, it is directed by Julián Mesri and is scheduled for a July run in Repertorio's namesake theater in the Rose Hill section of Manhattan. The cast will comprise of Mariana Buoninconti, Gerardo Gudiño, Soraya Padrao, Alfonso Rey, Eric Robledo, Alfredo Tauste and María Viteri. 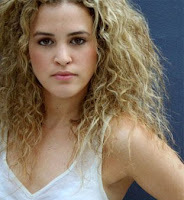 Yanelba Ferreira will be runway modeling for Paradise Bikini's summer 2011 couture collection. Presented by Eventige Media Group, the event will take place on June 30, 2011 at the Marquee Nightclub in the Chelsea neighborhood of Manhattan. 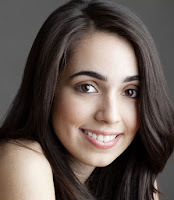 Marisol Carrere e-mailed us to tell us that I Am Julia, the film she co-produced (with Gloria Zelaya), co-starred in and wrote, has completed its trailer and will now hit the film festival circuit. The film is directed by David Capurso and stars Leidi Salazar, Carolina Ravassa, Carrere, Doua Moua, Tationna Bosier, Brenda Gómez, Zahaira Curiel and Tamara Turner. The trailer can be seen below. 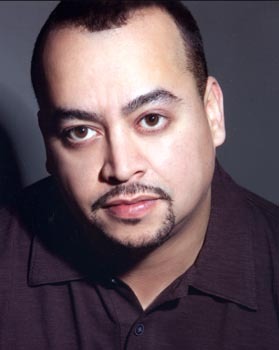 Jeffrey Hernández will be performing with his band Salsa Ray y La Nueva Crema on June 24, 2011 at The Gallery Lounge in the Mott Haven section of the South Bronx. Lorraine Rodríguez, through the production company she runs with Ricardo Riethmüller, East 3rd Productions, produced Stephen Metcalfe's play Strange Snow. Directed by Riethmüller, the play had a May and June run at The Theater @ 2 Jones in Manhattan's NoHo neighborhood and starred Michael Mallard, Kathleen Wallace and Francisco Solórzano. Ángelo Mercado, Jr. just finished work on the student film Finale (directed by Michael Chan) and is currently filming The Working Dead (directed by Luis Salas). 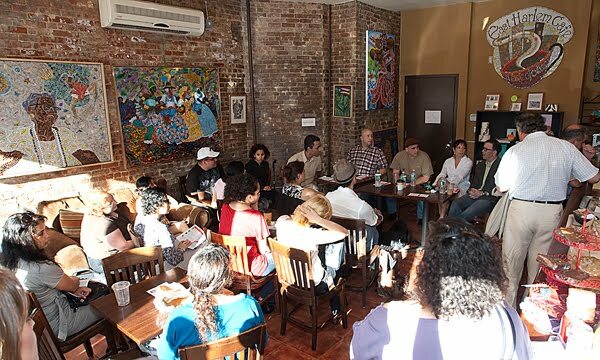 Pregones Theater held their ninth edition of their Asunción Playwrights Project this month in their eponymous theater in the Mott Haven neighborhood of the south Bronx. The four finalists are Carlos Morton's Zona rosa, Rosarina Liriano's Bajo los hábitos de resignación, Pablo García Gámez's El Gos and Vicki Grise's Rasgos asiáticos. All will have a staged reading (directed by Jorge B. Merced) as part of the festival and a winner will be decided, thus earning a workshop production next year. Actors in the festival include Ricardo Váldez, Ed Boroevich, Karla Vicente, Gloria Zelaya, Marti Gould-Cummings, Raoul Bretón, Carlos Alberto Valencia, Angélica Ayala, Mariluz Acosta, Shadia Fairuz, Laura Patalano, Fermín Suárez, Ariel Bonilla, Emely Grisanty, Betsy Pujols, Abdel González, Omar Pérez, Elise Hernández, Anna Lamadrid, Karen Jaime and Karina Alós. 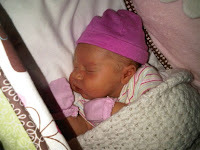 Daniel D'Ambrosi (who served as one of the technical directors for several of the previous HOLA Awards gala ceremonies) and his wife Lin D'Ambrosi are pleased the announce the birth of their first child. Their daughter, Valentina D'Ambrosi Medina (al estilo latino), shown sleeping at right, came into this world on Tuesday, June 7, 2011 at 2:50pm. She weighed 7 lbs. 10 oz. and measured 19 1/4 inches long. Mother, father and daughter are all healthy and doing well. LaMicro Theater is presenting City Non-Specific, a work-in-progress. A collaborative effort that involves movement, dance and text, the piece is set for a June run and will take place at 440 Studios in the NoHo section of Manhattan and feature the talents of Sonia Portugal, Lisa Parra, Pietro González, Hazuki Homma and Berioska Ipinza. 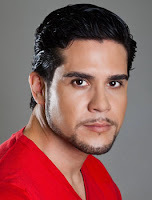 Rodney Roldán booked a role as a paramedic in an episode of "The Big C" (Showtime). Gladys K. Nilsen's recently released book On A Sad, Gray Afternoon is now available from Barnes & Noble. For more information, click here. Lorraine Rodríguez and her husband Marc Reyes are pleased the announce the extra special project they were expecting to release in May: the birth of their first child. Their son, Marcus Joaquín Reyes (shown sleeping at right) came into this world on Thursday, May 26, 2011 at 6:44am. He weighed 7.88 lbs. and measured 20 inches long. Mother, father and son are all healthy and doing well. Marcelino Feliciano recently completed a sold out run of the Richard Greenberg play Take Me Out. The production, directed by Ron Mulligan, was produced by and took place in April and May at the Nutley Little Theatre in Nutley, New Jersey. He is following this up with a role in A.R. Gurney's The Dining Room. Directed by Gary Lynch, the production will take place in June in the New Jersey School of Dramatic Arts (NJSDA) in Bloomfield, New Jersey. Click here for more information. Abraham Makany is starring in Freaks from the Morgue. A collection of new works by James Comtois, Stephanie Cox-Williams, Mac Rogers, Brian Silliman and Cynthia Skillman, the production is part of EndTimes Productions' Vignettes for the Apocalypse V. Produced by The Blood Brothers and Nosedive Productions and directed by Pete Boisvert, Patrick Shearer and John Hurley, the show will have a June and July run in The Kraine Theater, located in Manhattan's East Village neighborhood. For more information, click here. A preliminary lineup of participants for The 24 Hour Plays in Los Angeles, to be offered on June 18, 2011 at The Broad Stage (located in Santa Monica, California) has been announced. The program features six original short plays, which have been written, rehearsed and then, performed, all in just 24 hours. Among the artists scheduled to take part in the event are Jennifer Aniston, Leslie Bibb, Saffron Burrows, Zachary Levi, Jack McBrayer, Eva Mendes, Kathy Najimy, Rosie Pérez, Zachary Quinto, Nick Swardson, Raven Symoné and Nia Vardalos. Milteri Tucker will be represented twice on Sunday, June 12, 2011 for the National Puerto Rican Day Parade. First, her choreography will be showcased live on the telecast and she will also be a dancer for the salsa orchestra El Gran Combo de Puerto Rico. 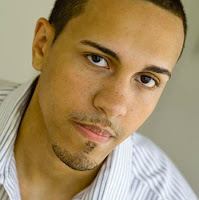 Dominic Colón just finished filming an episode of "How To Make It In America" (HBO). 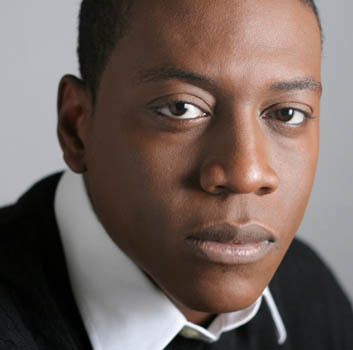 In addition, he recently won the 2011 Bronx Recognizes Its Own (BRIO) Award for playwriting from the Bronx Council of the Arts for his play Crush. Johary Ramos and Omar Pérez starred in the Pregones Theater tour of El apagón. Adapted by the short story "The Night We Became People Again" by José Luis González, the play was directed by Jorge B. Merced and most recently played Camden, New Jersey. Bill Santiago will be performing standup comedy twice in New York this month. He will be performing for the Russell Ferber Foundation in Manhattan's West Village and will follow that up with a gig at the East Harlem's Children Book Festival with La Casa Azul bookstore in Manhattan's El Barrio neighborhood. For more information on him and where he will be appearing, click here. I attended the HOLApanels event titled GO WEST, YOUNG ACTOR: The Good, The Bad and The Ugly of Being a West Coast or Bicoastal Actor. 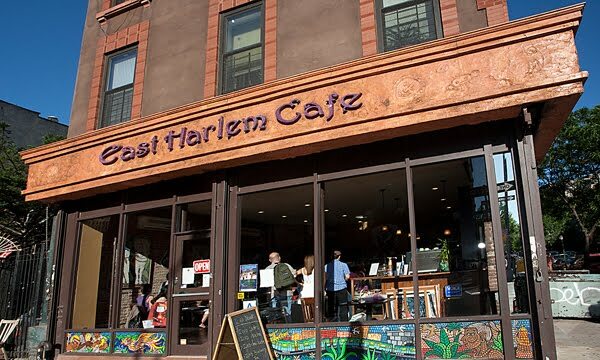 The event was held in conjunction with the East Harlem International Film Festival and took place at the East Harlem Café in Manhattan. 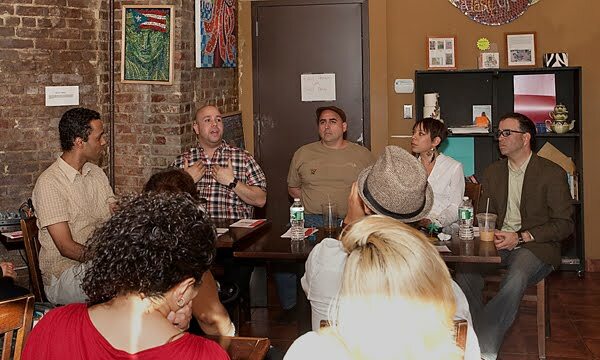 The panelists consisted of actors Luis Antonio Ramos; Selenis Leyva; Jorge Montenegro; and José Roldán, Jr. The event was quite informative. Some of the things I learned are listed below (photos by ARuiz Photography). • In order to become a s uccessful actor, among other things, you need a foundation. That foundation is theater. You have to learn technique. You have to train somewhere, be it a school, a conservatory, an academy, but you have to train. • All the panelists agreed that you should not go to Los Angeles without an invitation or without any representation. And that you shouldn't go during pilot season. At that time, casting directors tend to hire the actors they already know and trust. Instead go during downtime. 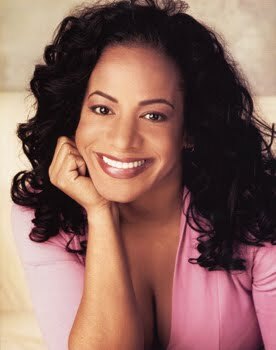 When Selenis Leyva went to Los Angeles the first time, she had been invited to audition for a sh ow and was successful. She said she was lucky and things worked out very easy. She recently went back, without an invitation, and things were definitely harder. She also talked about the importance of training and added that a casting director will not remember how fabulous you were, but they will remember if you sucked. • Jorge Montenegro grew up in California but realized most of the work he wanted to do was going to New York, and so he moved to the East Coast. Luis Antonio Ramos also follows "the work." He has been to Los Angeles and has worked there but is now here, working too. • José Roldá n, Jr. moved to Los Angeles originally to study and then, like Luis Antonio Ramos, moved back to New York because he felt he had more opportunities to work here. He says he is working here way more than in Los Angeles. • On the theater scene in Los Angeles, they all agreed that it is bad (when compared to the New York scene). It is poorly attended and as an actor, sometimes you have to pay to be in a show. • One's career is a journey and one should not take every audition too seriously. Be honest with yourself. Also, be realistic. Don't move to Los Angeles until you know you are prepared and have everything ready. • José Roldán, Jr. remarked that "luck is when opportunity meets preparation." • Finally, be aware that in Los Angeles, Latino equals Mexican. 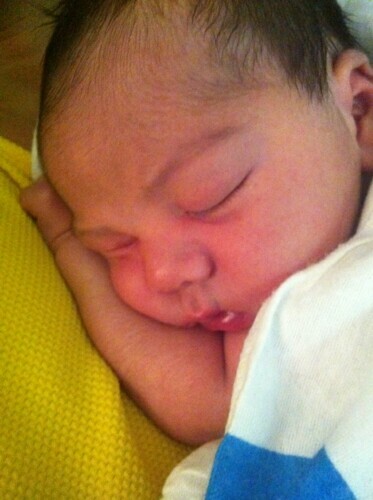 An nette Cortés and her husband Rick Cains are pleased the announce the birth of their first child. 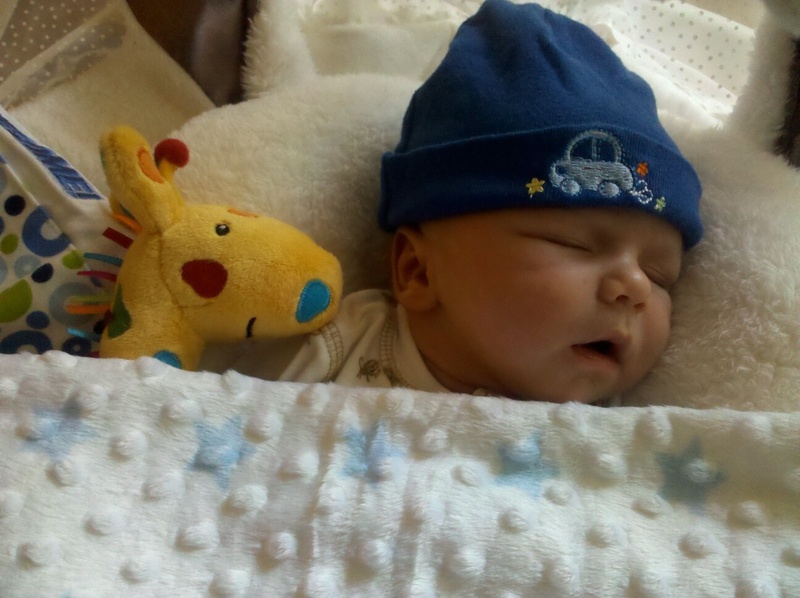 Their son, Marcos David Cains Cortés, shown sleeping at left, came into this world on Wednesday, June 1, 2011 at 8:58am. He weighed 9 lbs., 5 oz. and measured 21 inches long. Mother, father and son are all healthy and doing well. Luna De Toledo Catarevas, booked the role of Marina in the film Predisposed (directed by Philip Dorling). Caridad De La Luz (also known by her nom de poésie La Bruja) will be performing at the EarSay Performance Festival at the Spanish Repertory Theater in the Rose Hill section of Manhattan, at the special event From Havana to Harlem at the world famous Apollo Theater in the heart of Manhattan's Harlem neighborhood (and where the lineup also includes Bobby Sanábria Big Band, Felipe Luciano, Cándido, David Amram, Jon Faddis and Charenée Wade) and at the Iris and B. Gerald Cantor Auditorium in the Brooklyn Museum in the Prospect Heights neighborhood of Brooklyn. 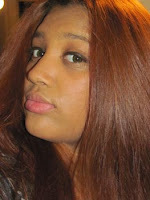 One can also by her recently published book of poetry, The Poetician, by clicking here. 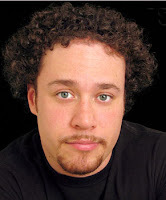 Johnathan Cedano will be performing in Doric Wilson's Street Theatre. 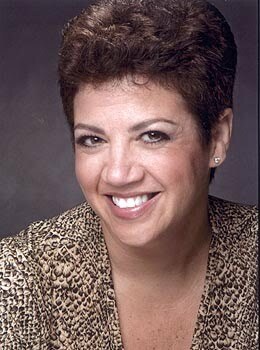 Presented by TOSOS II Theater Company, the play is directed by Mark Finley and will have a benefit performance on June 9, 2011 for the Lesbian, Gay, Bisexual and Transgender Community Center of New York, located in Manhattan's West Village. Bombazo Dance Company is presenting La bomba me llama. A dance-theater piece directed and choreographed by Milteri Tucker, the story uses the Afro-Puerto Rican dance bomba to tell the story of Tere, a young lady in search of her roots. The performers include Tucker, Jilliana Richerick, Oscar Salazar Cruz, Dharma A. Padrón, Charles Brown, Teresa Cuevas, Fabián Zarta, Esther Antoine and William Tucker, the presentation will happen in July in Pregones Theater in the Mott Haven section of the South Bronx. Special guest artists for the presentations include Abrante (Billy T. El Negrolo, Oreste Abrante, José "Dr. Drum" Ortiz and Zuleinette Ralat). 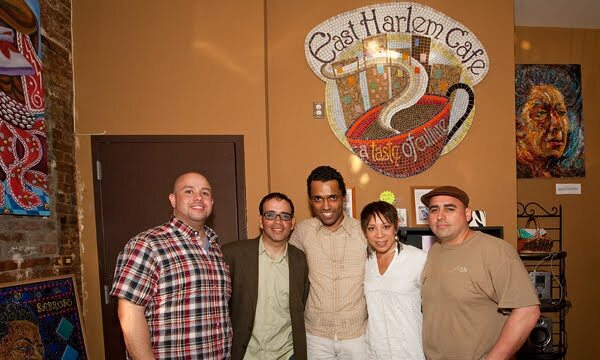 On Thursday, June 2, 2011 at 5:30pm, HOLA held a HOLApanels event in conjunction with the inaugural East Harlem International Film Festival (EHIFF) at the East Harlem Café. The event was called GO WEST, YOUNG ACTOR: The Good, The Bad and The Ugly of Being a West Coast or Bilingual Actor. HOLA Associate Director A.B. Lugo served as moderator and Luis Antonio Ramos; Selenis Leyva; Jorge Montenegro; and José Roldán, Jr. were the panelists. 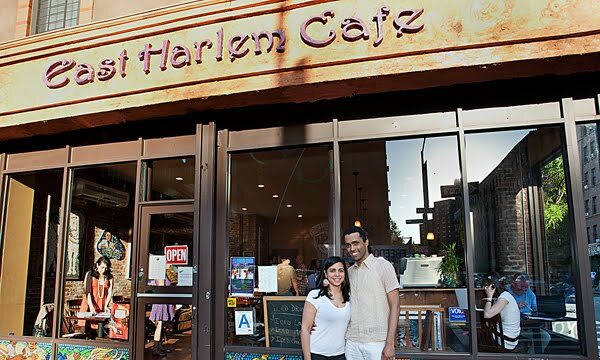 Special thanks go to Víctor Cruz of th e EHIFF, Michelle Cruz (no relation) of the East Harlem Café and HOLA volunteers Diana Carolina González, María F. Nieto, Mónica Delgado and Laura Patalano. The free event was a total success, with a standing room only crowd in the beautiful, cozy café. Some photos are below (click on each to open it and make it larger in a separate window; photography is by Anthony Ruiz of ARuiz Photography).